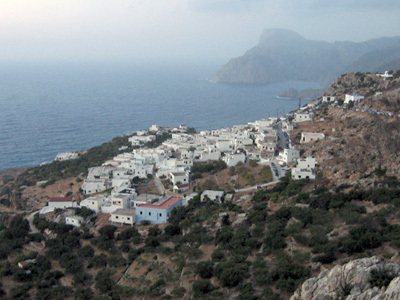 The village of Mesochori lies on the western side of Karpathos, about 35 km from Pigadia. 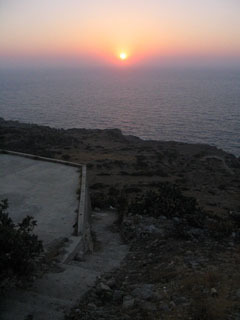 It is a quiet village with breathtaking views of this side of the island. It is a very green village, with gardens inside the village and a pine forest surrounding it. However, much of the forest to the south of the village burned in June, 2004, because of the carelessness of a single person. For the most part, Mesochori has otherwise been spared from many of the negative effects tourism has had in other parts of the island. One of the best reasons to visit this village (aside from the peace and quiet) is to see beautiful sunsets.